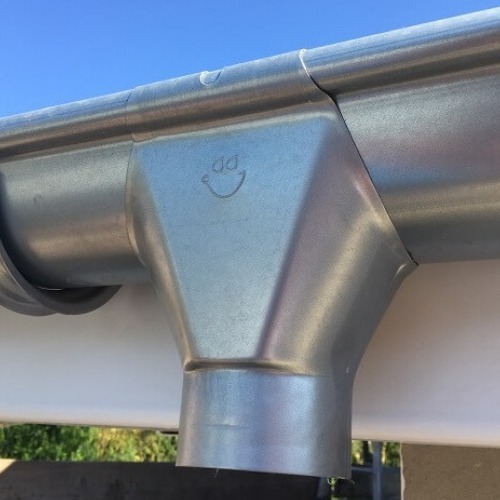 Our Graphite Grey Steel Gutter is probably the most popular colour option after the galvanised finish. It looks effective on modern and traditional builds particularly where grey PVC or aluminium doors and windows have been installed. 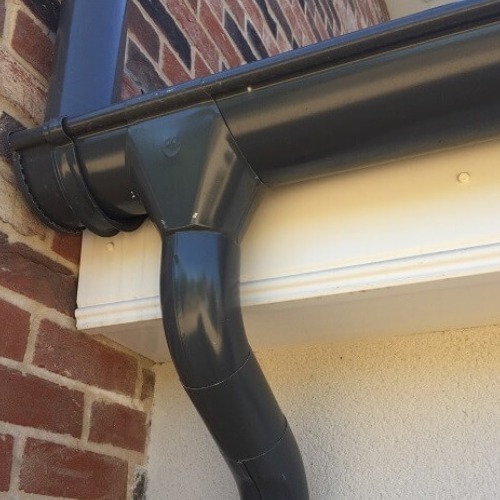 It is a 135mm gutter that connects to an 87mm downpipe system. 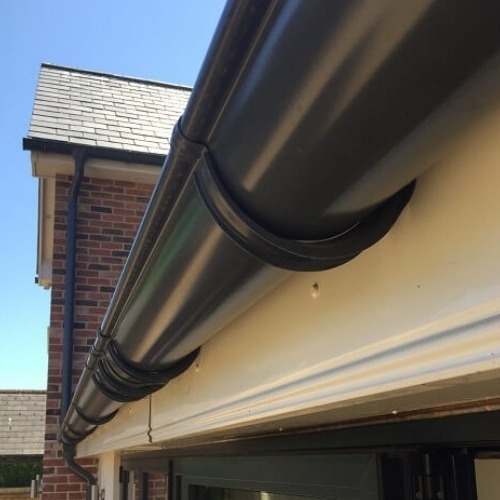 Our Coloured Steel Gutter systems are available in the following options; Black, Graphite Grey and Copper Effect. 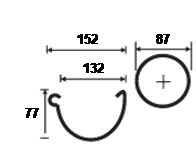 They are manufactured by leading European steel supplier Galeco and carry a 35-year performance guarantee.